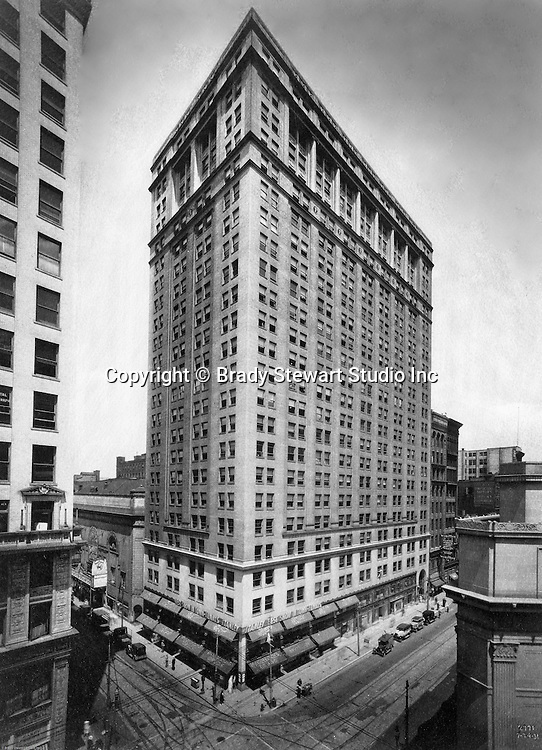 Pittsburgh PA: View of the New Clark Building at Liberty Avenue & 7th Street in Pittsburgh - 1928. The building dates to 1928, when it was built for use as a regional office for Warner Brothers and named after theater magnate James Clark. Today, the building is home to a collection of jewelry dealers along with two schools, Pennsylvania Culinary Institute and a city charter school.